Up to $5,000 (including book allowance) each academic year toward the cost of attendance at an eligible four-year institution in South Carolina. Up to the cost of tuition including a $300 book allowance each academic year at an eligible two-year public or technical institution in South Carolina. At the approved two-year independent institution* in South Carolina or a two-year USC regional campus, students may receive up to the maximum average of the tuition cost. *As of Fall 2012, Spartanburg Methodist College is the only approved two-year independent institution in SC. Graduate from high school with at least a cumulative 3.0 GPA based on the SC Uniform Grading Policy. Rank in the top 30 percent of the graduating class based on the uniform grading policy. Score at least 1100 on the SAT (or 24 on the ACT) by June of the senior year. Only the math and critical reading scores of the SAT may be included. Note: There is no application required for the LIFE Scholarship. The eligible institution will notify students if they qualify. During the 2007 legislative session, the General Assembly created the LIFE Scholarship Enhancements. The Scholarship Enhancement increases the LIFE Scholarship award from $5,000 to $7,500. The Enhancement is available to students majoring in the mathematics, science and health fields at eligible South Carolina four-year institutions. 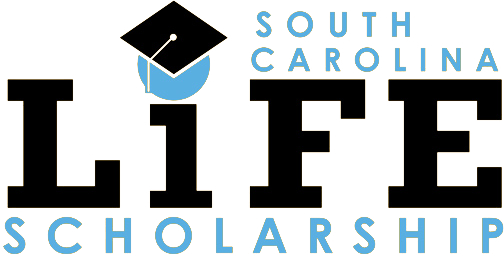 Students who meet the eligibility requirements for both the Life Scholarship and the Enhancement, will receive an annual award of up to $7,500 to cover their cost of attendance at any eligible four-year public or independent institution located in the state. Eligible students can be awarded a LIFE Scholarship Enhancement to meet their cost of attendance for up to six consecutive terms starting the second year of college enrollment. declare an approved major in science, mathematics, or health related field at the institution. For eligible majors, courses and institutions, visit the Commission’s web site at www.che.sc.gov.